BOOKING IS NOW OPEN FOR THE MAY 2019 COURSE. THERE ARE 24 PLACES AND THEY WILL BE FILLED ON A FIRST COME FIRST SERVE BASIS. There will be a further course starting in October 2019. The dates for this are October 31 to November 3 2019; May 21 to May 24 2020; and October 22 to October 25 2020. Booking will open in May 2019 for this course. The fee for this course is £2,000 for self-funded participants and £2,200 for employer-funded participants. In order to book your place, you need to pay a deposit. The Deposit £500. Please click the button below and then take your cart to checkout. Once payment has gone through, your place in the group will be secured. If you are employer-funded, please contact Kathrin Stauffer. E-mail kathrin@stauffer.co.uk or telephone 01223 240815. If you are unable or unwilling to pay the deposit through the Website, please contact Annalisa Caldon for details of BACS payment. E-mail annalisa4@hotmail.com or telephone 01865 429632. 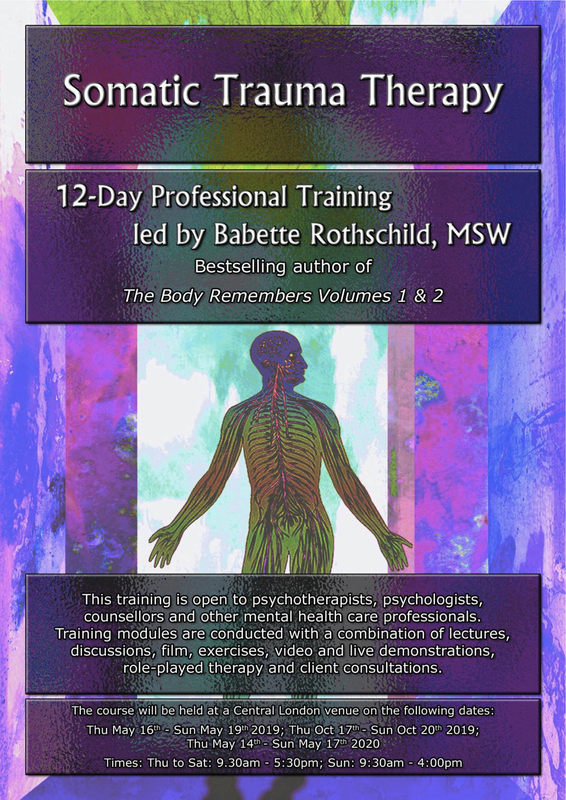 The 12-day course is a continuous series of 12 days. By booking your place, you make a commitment to complete ALL 12 days with the same group. Changing beween different groups is not usually possible and will attract an extra administration charge. PLease make sure that you are available on all 12 days BEFORE booking. If you cannot attend Part 2 or 3, we will be unable to fill your place. You will need to pay ALL fees on schedule, even if unforeseen circumstances prevent you from attending part of the training. The fee for this workshop is £250 for bookings received before August 27th 2019, and £300 for bookings received after that. In order to book your place you need to pay the full fee. There is an unlimited number of places available. We will return the fee for cancelled places minus £50 until September 27th. After that we cannot refund any fees. For any correspondence relating to this workshop, please contact Kathrin Stauffer. E-mail kathrin@stauffer.co.uk or telephone 01223 240815. 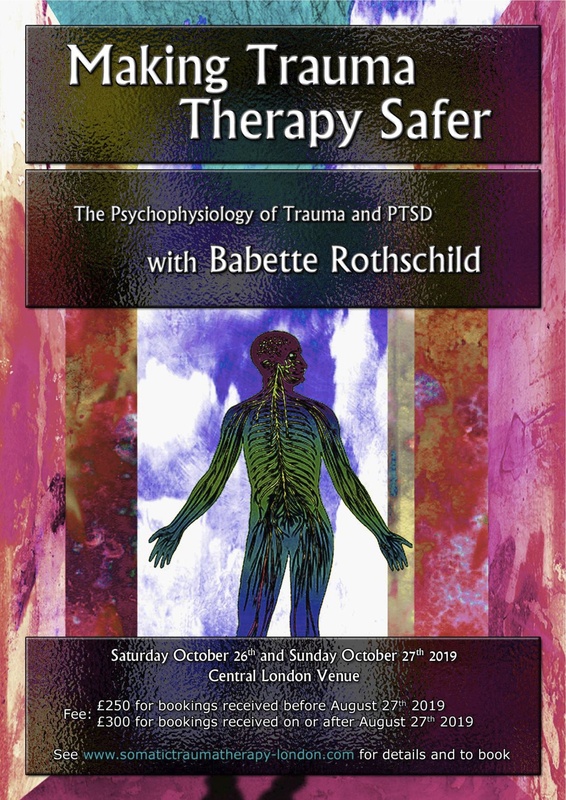 Buy Making Trauma Therapy Safer (Downloading) Click here to download a 3.5-hour film in mp4 format of Babette Rothschild teaching ‘Making Trauma Therapy Safer’ on October 17-18 2015. 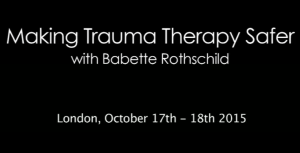 Rent Making Trauma Therapy Safer (Streaming) Click here to watch a 3.5-hour film of Babette Rothschild teaching ‘Making Trauma Therapy Safer’ on October 17-18 2015. If you choose this option you will have 7 days to view the film.